A future with thinking, feeling robots has been the stuff of sci-fi for decades. It could be closer than you think, depending on whom you ask. 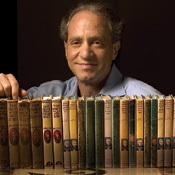 By 2030 we'll have thinking, feeling robots, futurist Kurzweil predicts. Futurist and IT inventor Ray Kurzweil envisions machines that exhibit the consciousness of humans being created as early as 2030. Kurzweil, who developed early optical-scanning and other technologies, says that by 2030 scientists will be capable of creating machines that replicate the brain's function. They'll "have the subtle cues that we associate with really having these emotional reactions," he says. But another IT innovator, Jeff Hawkins, doesn't believe that kind of computer will be around anytime soon. The founder of PDA pioneers Palm Inc. and Handspring Inc. has started Numenta Inc. with the goal of facilitating systems that mimic the brain's neocortex, the structure seen as responsible for the evolution of intelligence. Called hierarchical temporal memory, it's based on Hawkins' theory described in his 2004 book, On Intelligence. "These systems aren't reproducing systems; there's no life here," he says. "It's just thinking; it's very cerebral." Though they differ on the timing and capabilities of these intelligent creations, neither envisions a world with robots running amok. Kurzweil, author of the just- published The Singularity Is Near: When Humans Transcend Biology, believes they'll be used, for example, as nanobots in human bodies to battle disease and prolong life.